Fast, efficient refuelling is here, at your local Pace filling station. Now, whenever you refuel at the friendly nearby site you've always preferred, your business will be saving time and money while you do it. Stop, refuel, present your Pace fuel card, go. It's as fast as refuelling gets. Saving your business time and money is simple, but if there's anything you want to know, just ask. Pace Fuelcare is an established distributor of fuel products to the domestic, commercial and agricultural markets and is also an experienced supplier within the UK Dealer market. Our coverage extends across the bulk of the country including the Midlands, East Anglia, South/South East, South West and Scotland. 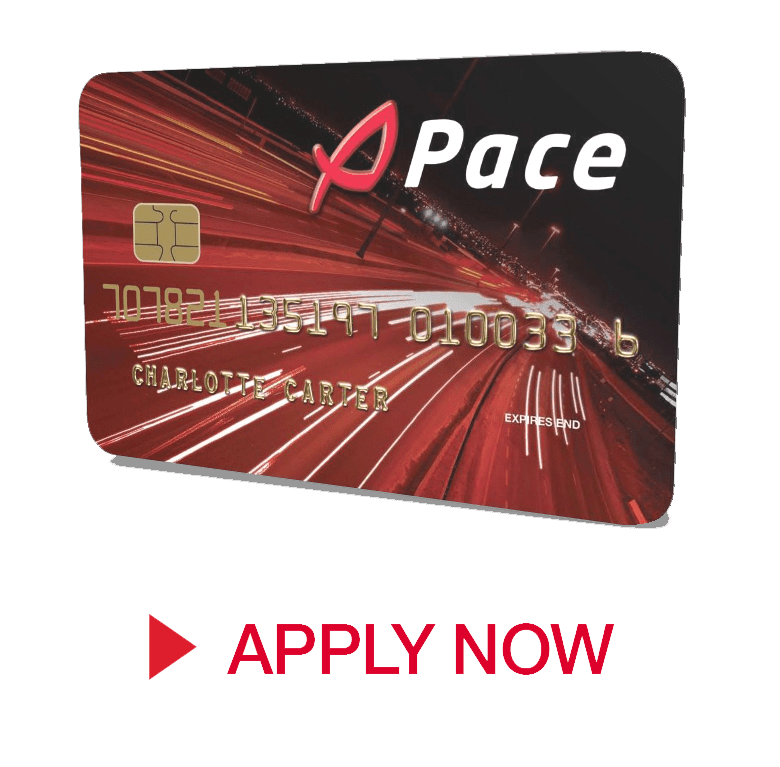 The Pace brand has a strong heritage in the UK motor fuels market, having originally been developed by the motor industry entrepreneur Victor Gauntlett in the early 1970s. The brand achieved recognitions through involvement in the sponsorship of the Aston Martin racing team. In 1986 the brand was acquired by Kuwait Petroleum, by which time it had a strong presence in the retail motor fuels market in the South of England. The Kuwait Petroleum Group continued to develop the Pace brand during its time in the UK, but the brand re-emerged as a significant presence in the retail fuels market in October 2004 when it was sold and the Pace brand subsequently replaced the Q8 brand on the company's dealer network. As a valued Pace Fuel Card customer, you will be introduced to your very own business manager, who will be able to help you during office hours with any questions you may have regarding your account. No call centres - just direct access to your dedicated business manager. Out of office hours you will have access to our online account management system - eServices, here you will be able to fully control your Pace Fuel Card account..
Pace eBilling allows you to receive your fuel card invoices in a widely acceptable electronic file format (PDF). This file format, is acceptable for VAT and Inland Revenue purposes.